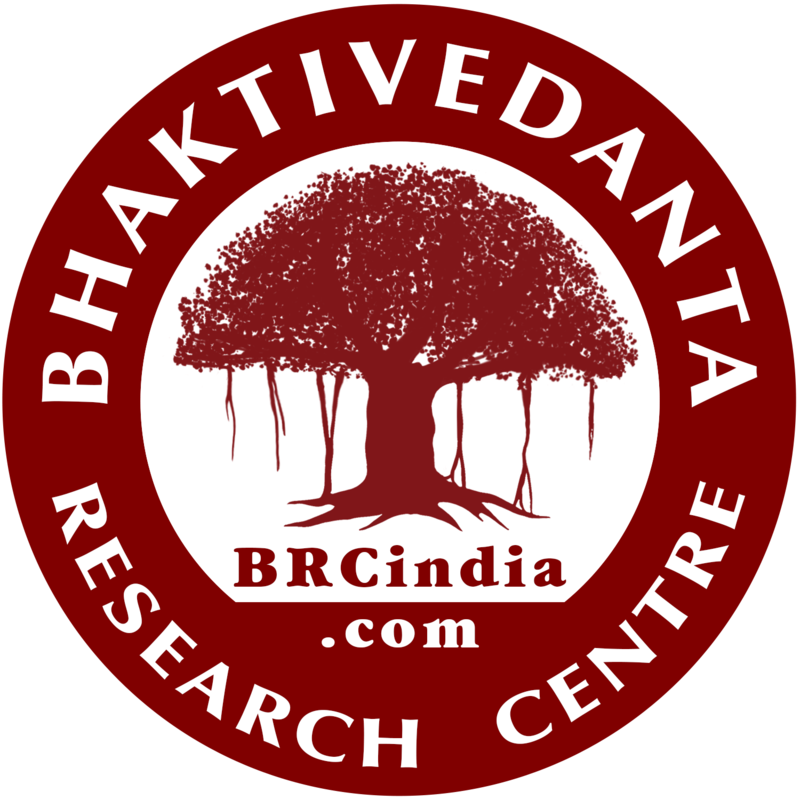 The first mission of BRC's Manuscript Team was in July of 2011 to Kumara Hatta, nowadays generally known as Halisahar. 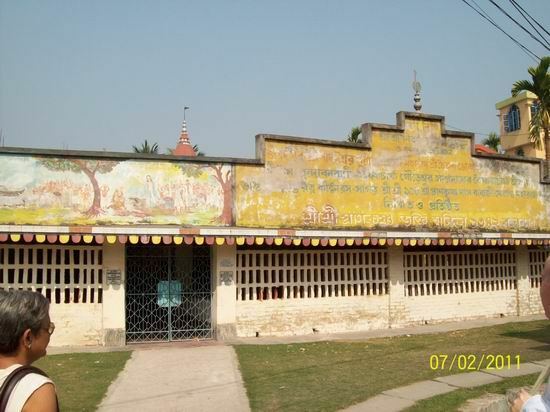 This is the birthplace of Srila Isvara Puri, the spiritual master of Lord Caitanya. Here’s the first manuscript we viewed. It was about the glories of Srimati Radharani. According to the notation, it was written in 1708 Sakabda, or 1790 AD-over 300 years old! 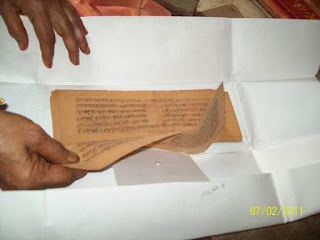 The paper is cotton based hand made parchment. 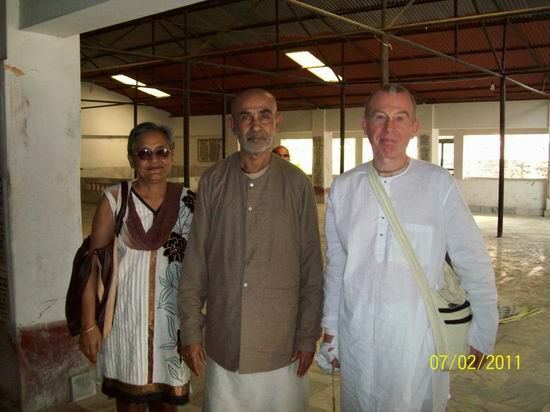 Isvara Puri pleased his spiritual master by service, and by the blessings of his spiritual master he became such a great personality that Lord Caitanya Mahaprabhu accepted him as His spiritual master. 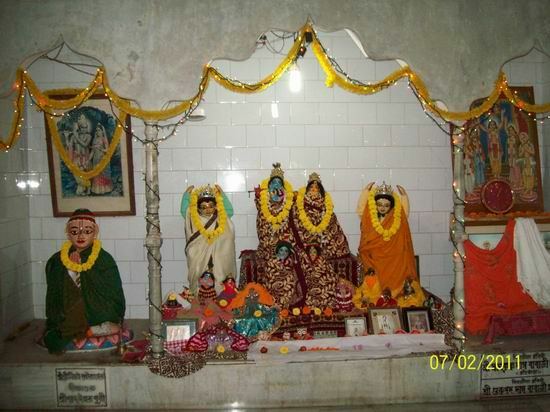 Srila Isvara Puri was the spiritual master of Sri Caitanya Mahaprabhu, but before initiating Lord Caitanya he went to Navadvipa and lived for a few months in the house of Gopinatha Acarya. At that time Lord Caitanya became acquainted with him, and it is understood that he served Sri Caitanya Mahaprabhu by reciting his book, Krsna-lilamrta. This is explained in Sri Caitanya-bhagavata, Adi-khanda, Chapter Eleven. To teach others by example how to be a faithful disciple of one’s spiritual master, Sri Caitanya Mahaprabhu, the Supreme Personality of Godhead, visited the birthplace of Isvara Puri at Kumara-hatta and collected some earth from his birth site. This He kept very carefully, and He used to eat a small portion of it daily. This is stated in the Caitanya-bhagavata, Adi-khanda, Chapter Seventeen. 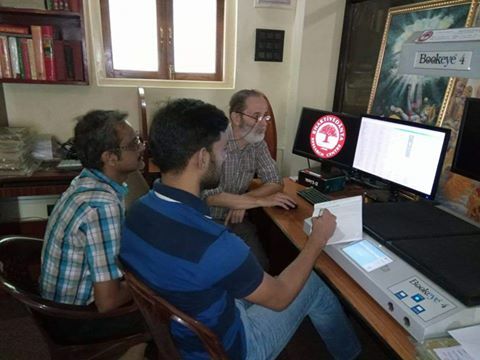 It has now become customary for devotees, following the example of Sri Caitanya Mahaprabhu, to go there and collect some earth from that place.